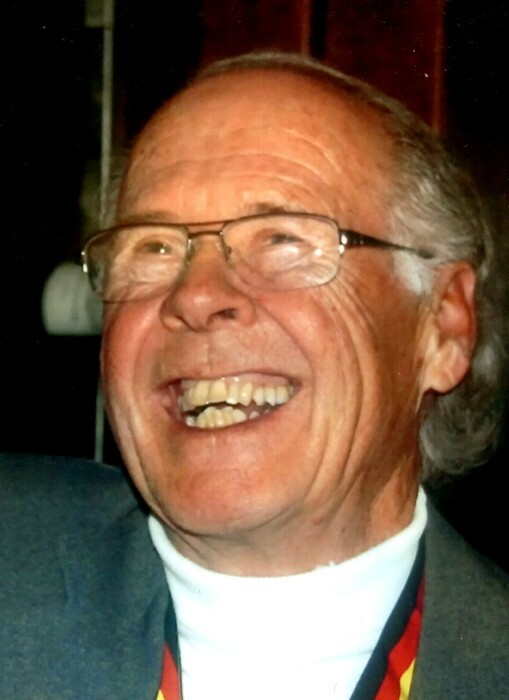 Wolfgang Dieter Roth, 75, of Lake Wylie, SC went home to be with the Lord on Jan. 24, 2019. He was born in Immenstadt, Germany in 1943 and grew up in this southern German town nestled in the Bavarian Alps. He enjoyed music at an early age, listening to his parents play “Hausmusik.” He began piano lessons at the age of 9 and violin at the age of 10. In 1963, he began his studies at the Musikhochschule in Munich, Germany. During this time he studied music education and performed extensively with the Munich Chamber Orchestra and the Munich Bach Orchestra. In 1969, Wolfgang became a full-time member of the Munich Chamber Orchestra and toured all over the world. The same year, Wolfgang married Bette Burke, a professional harpist, whom he met when they both played in the North Carolina Symphony. They formed the Roth Duo with violin and harp. They toured parts of Europe and the USA and also recorded two LP albums of original violin and harp music. Wolfgang and Bette moved from Munich, Germany to Charlotte, NC in 1971 where they became principal players with the Charlotte Symphony Orchestra from 1971–2011. Wolfgang began the Suzuki violin program in 1971 at the Community School of the Arts in Charlotte, NC and was previously on the faculty at Winthrop University in Rock Hill, SC. He also taught violin privately in his home. He later became a dealer with Lyon and Healy harps in Chicago. In 2002, Wolfgang and Bette moved to Lake Wylie, SC. He became very active in their church, Redeeming Grace, PCA. He had been an Elder since 2011 and was the choir director from 2011–2017. He was also on the Mission’s Committee and lead international missions trips to Peru, Honduras, and Haiti. Wolfgang enjoyed riding horses and sailing and was an expert show skier. He also enjoyed reading and read numerous theological books. Wolfgang is survived by his wife, Bette Roth; his son Dieter and wife Colleen Roth; his daughter Carla and husband Andrew Ketchum; and eight grandchildren, Christian and Michael Roth; Sebastian and Elisabeth Mitchell; and Alex, Ben, Matt, and Drew Ketchum. In lieu of flowers, memorial gifts may be made to Redeeming Grace, PCA Missions Fund, 4800 Charlotte Highway, Lake Wylie, SC 29710 or the Charlotte Symphony Orchestra www.charlottesymphony.org. A memorial service will be held at Redeeming Grace, PCA in Lake Wylie on Sunday, Jan. 27, 2019 at 2:00 P.M. The family will host a gathering with refreshments immediately after the service in the Fellowship Hall. Graveside burial to follow at Bethel Presbyterian Church Cemetery, 2445 Hwy 557, Clover, SC 29710.